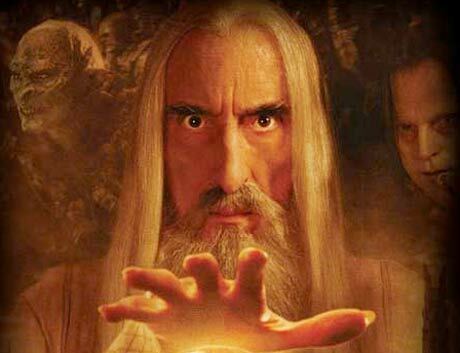 Here's something you probably never expected: silver screen cult icon Christopher Lee is about to become the latest actor-turned-rocker. Yes, folks, at a mere 87 years old, Lee (you know him from the likes of The Lord of the Rings, Charlie and the Chocolate Factory, Star Wars, Dracula, Horror Hotel and another 280-plus flicks over the decades) is not only the highest-grossing film star in history but he's recording a new album. Not just any old record though. It's to be a concept affair and a metal record, naturally. According to reports by The Gauntlet, Lee is enamoured with the saga of King Charlemagne, First Holy Roman Emperor. So he has opted to create a symphonic metal album in the emperor's honour. Acted and sung by Lee, yet performed by a currently undisclosed roster of musicians, the album is quite dear to him. The Carandinis, Lee's maternal ancestors, were given the right to bear the coat of arms of the Holy Roman Empire by Emperor Frederick Barbarossa. Through his Carandini ancestors, Lee has a direct link to Charlemagne, and has decided for the first time in his life to pay homage to his distinguished ancestor, who is credited as the Father of Europe. Believe it or not, the record would not mark the first time Lee has entered the realms of metal. In 2004, he served as a narrator on Rhapsody's The Dark Secret EP.